If you don’t think that is crazy enough, I run in the early morning. 5:30 or 6 a.m., Monday through Friday. I run with mamas who live in my neighborhood, and while we run we talk about our kids, our work, our husbands, our goals, fashion, dogs, weather, vacation plans, skin care, hormones… you get the picture. Chatting about life makes the miles fly by, and having a set time and meet-up scheduled provides accountability. You know it’s true – it’s so easy to bail on a workout if nobody else is expecting to see you. As the weather has gotten colder, I’ve had to change my attire a bit, but little else. Once you accept that you’re going to get wet, running in the rain isn’t bad. My Icebreaker gear helps a lot, both in wet and cold conditions. I’ve run in temperatures as cold as 16 degrees F, and as long as my ears and head are covered, it’s totally manageable. The key for me is to wear close-fitting, preferably merino layers. No cotton. When it’s really cold, I warm up a bit inside the house first (as opposed to outside). Snow might be a different story. I’ve never run in snow, but if we get some I’m planning on trying it out. I have those low-profile slip-on crampons that might work on my running shoes. Now that I have Jack to run with me, I need to consider his safety if it gets really cold. Do I need to get the dog to warm up inside the house before running in below-freezing temps? I have no idea! But I love having him run with me, so I need to check into that. Maybe he just needs these protective doggie boots: What do you do to winterize your workout? Do you make any changes? This post is sponsored by MyInfoGuardian and I’m writing this to be entered into a giveaway hosted by Mamavation – a community dedicated to obesity prevention & weight loss for women. 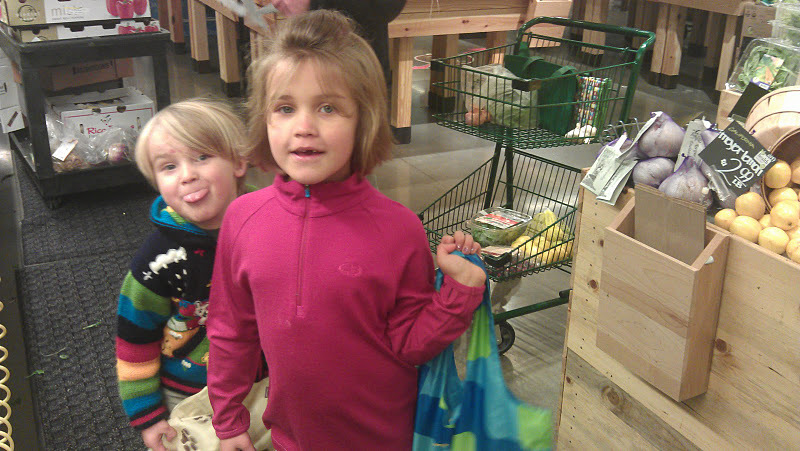 I took time out of a busy day to squeeze in a trip to the Icebreaker Friends and Family sale last week. I scored some awesome deals, of course! The total retail value of my 8 items was $400. I got them all for $120! My pile! Two tops for me, one each for Brian & Anna (sorry, Eric!) and four pair of socks. I was hoping for some base-layer pants, and/or pants I could use running. I couldn’t get to the sale until early afternoon, so if there were any bottoms there I missed them. At the time, I thought… “Oh well!” But after my rainy rainy run yesterday, I’m convinced I need to just invest in some at full price! I got so incredibly wet, running in the rain for 45 minutes. 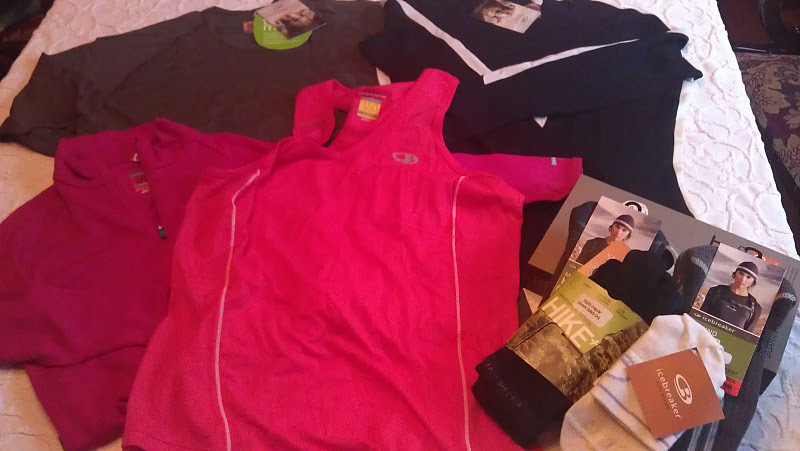 But remarkably, my inner layer of Icebreaker (the red sleeveless athletic top in the picture above) was dry! Can you believe it? Before I took my outer layer off, I would have sworn that I was wet all the way through. Two layers of Icebreaker seems to do the trick. So yes. I need pants! 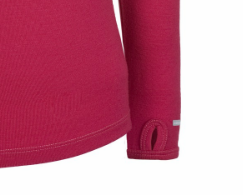 I love the new running top, not only for keeping me dry, but also because it has a pocket on the back. Ostensibly for an Mp3 player, but I used it for my phone. It kept my phone dry, which is always a concern. If you do want to use it for an Mp3 player, check out the cool loop at the back neck for keeping your ear buds corralled! I think my very best score, however, was this great sweater for Anna. It was only $15, and I’m kicking myself for not buying several more of them. Anna in her new Icebreaker sweater, Eric being Eric. But then I explained that the thumb holes made so her hands could stay warm while she plays on the monkey bars… and her face lit up! I think she was just delighted that I’m willing to be supportive of her monkey bar addiction. This sweater is officially called a “Tech Top” and it retails for $70! Anna wore it all weekend, so now I’ve got to do some laundry, quick. 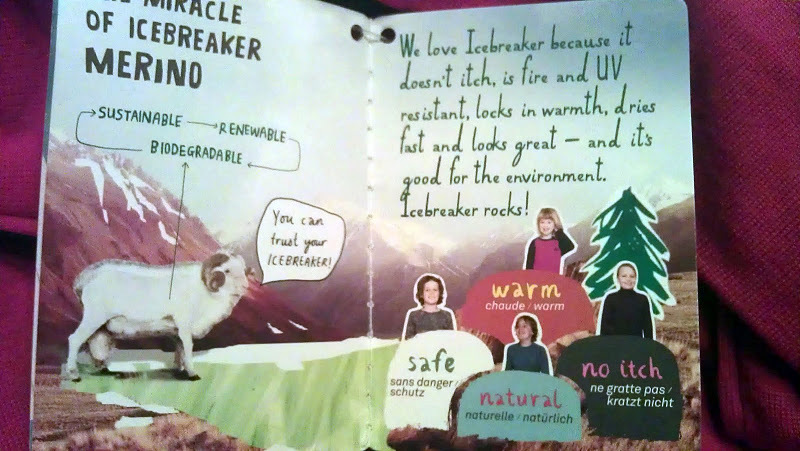 The really great thing about all Icebreaker products is that not only do they repel body odor and are breathable yet warm, they are totally NOT itchy! It’s amazing, really. I don’t know how they do it. Sustainable, comfortable, and incredibly utilitarian. And cute to boot!